Melisa is a compassionate, energetic and empathic licensed professional counselor with over eighteen years of experience working with children, adolescents, adults and families. 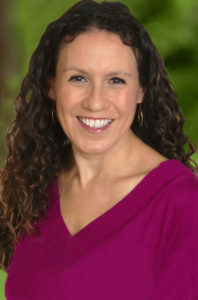 Melisa earned her bachelors degree in psychology and sociology from Marquette University and her masters degree in counseling at National Louis University. She has a wealth of clinical experience from a variety of practice settings including psychiatric clinical intake, substance abuse detoxification, psychiatric residential treatment and mental health agencies. Melisa has extensive experience in assisting clients with anxiety, depression, and mood disorders, substance abuse and co-morbid disorders, as well as relationship and family issues, including abuse, through individual, family, and group counseling, crisis intervention services and substance abuse interventions. Melisa offers a warm, supportive approach to work with her clients and strongly emphasizes the importance of building a trusting relationship with those she services. She provides individualized treatment based on her clients’ specific needs and creates a safe space for change, personal growth and healing. Melisa’s skills based approach assists her clients in developing tools to enhance their emotional well being, achieve their goals and live healthy lives. In addition to a passion for yoga, Melisa enjoys time with friends and family, traveling with her husband and two daughters, and taking in various cultural and theater events.